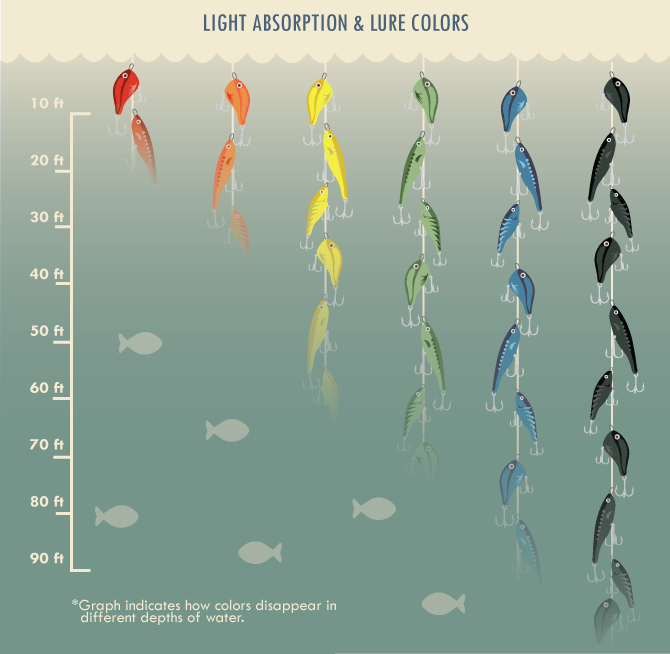 How Fish See: Does Color Really Matter? Take a walk through the fishing department at your outdoor retailer and you’ll notice that line and lures come in a wide variety of colors. But does the color of a lure really matter? The answer depends on depth and how fish see. 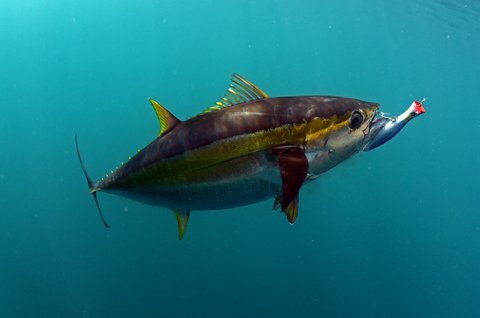 Aside from mimicking prey items realistically, a variety of lures play on the way the eyeballs on fish interact with specific colored baits at varying depths, water speeds and light availability. The notion of color appeal and available light at different depths is also the basis for using red colored line, such as Cajun Redline. The idea with Cajun Red is the line will be virtually invisible to fish, but it isn’t the highest quality line out there. Reflective lures, despite their color, will offer flash and visibility even in deep waters. Keep in mind, too, that clearer waters allow light to penetrate deeper, meaning your lure’s color will remain visible for a little while longer. All colors will gradually dull as they go from shallow to deeper water, but warm colors like red and orange are the first colors to fade. To a fish, lures in these colors will remain vibrant up to roughly 20 feet deep, but then their visibility will decrease. Orange is the next color to fade. Bright crawfish and orange firetiger patterns will do well until around 40 feet or so. This is where yellow lures will begin to lose their vibrant appeal, so you’ll want to switch to the chartreuse and Oxbow color patterns. Blue and green lures will remain visible for as deep as the light will penetrate the water. In waters with current, however, the opposite occurs, and blue or green lures lose visibility first. Aside from how light and water depth affect the appeal of a lure’s color pattern, it’s also important to consider how fish eyes work. A fish’s retina contains two types of cells: cones and rods. The cones are used primarily in the day and are able to discern color, while the rods are used for seeing at night and while they can distinguish light, they can’t do the same for colors.